The first Stressless Recliner was introduced by Ekornes in 1971, a company which had already produced quality furniture for nearly 40 years. The new product featured a patented mechanism that established a new standard of comfort. Today, all Stressless Recliners are available in a terrific selection of top-grain leathers and durable fabrics, and all provide a terrific set of features to offer unmatched comfort. All Stressless recliners include the patented Plus System™, as well as a full range of reclined positions, 360-degree swivel, and a slew of accessories to help create the perfect fit for your home. The core of each recliner, Stressless' Plus System™ provides continuous support for your head and back by simultaneously adjusting the lower support structure along with the headrest. The double-sided mechanism ensures lasting durability and maximum support; so whether you are reclined or upright--there's ample stability. Comfort Zones foam is molded over the structure to provide a unique level of comfort. 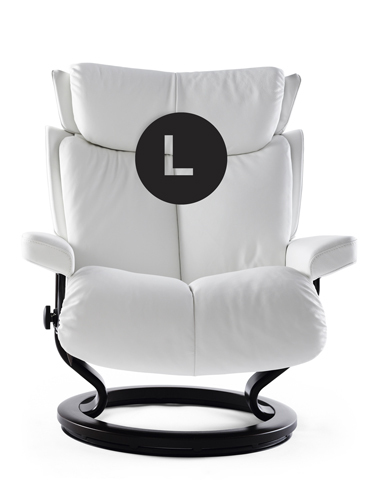 The perforated foam allows your body to set comfortably into the chair, without losing any lumbar support. 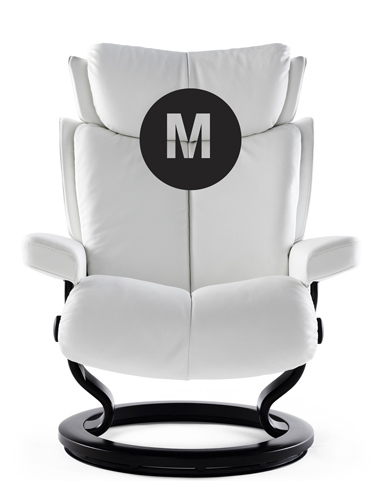 Stressless Recliners are grouped by style familes, each in 2-3 sizes. 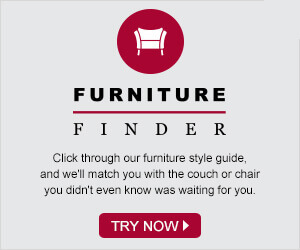 With the Small, Medium, and Large frame options provided, it's easier than ever to find the perfect chair for YOU. Most styles are available in all 3 sizes, while certain frames are exclusively produced in the Medium and Large frames. Below, a showcase of the Magic family presents the differences in the frame size options. 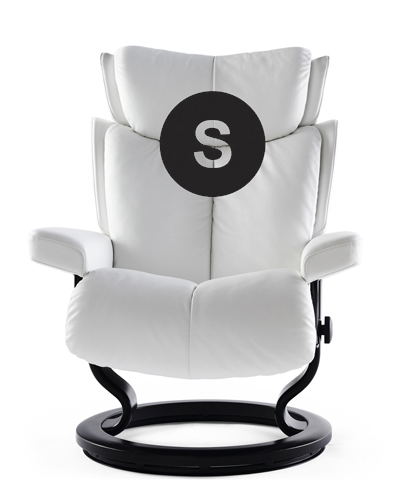 All Stressless Recliners sold on our site include a matching Ottoman. True to its name, the Stressless Ottoman will move with your legs as your entire body shifts to recline--effortlessly. The ottoman is automatically and consistently in the perfect place to provide optimum comfort and leg support. Several accessories can be purchased along with your new Stressless Recliner and Ottoman. Available for all styles are elevator rings, in case an adjustment is needed to match your perfect height; a hardwood floor protector; and a leather protection kit + warranty. Additionally, there are two table options--a Swing Table and a Computer Table--available for almost any of the Stressless styles.